AFL attendance for the semi finals came in at 162,656 – both games at the MCG. This figure is up 131% on last years semi final attendance figures, which featured a GWS home final at Spotless Stadium. 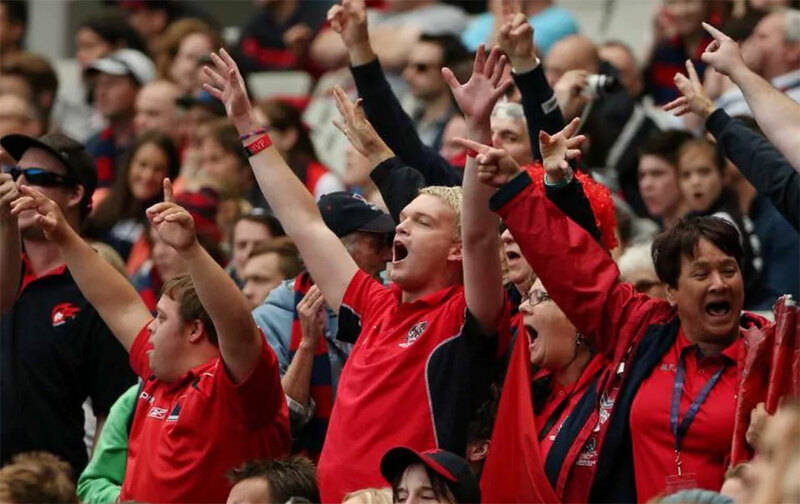 This weekends finals attendances also give the AFL a new record for total season attendance with 7.338 million people through the gates this season – beating the previous mark of 7.287 million in 2017. The AFL has averaged 35,975 this year – the 9th best average on record. It should be noted that given next weeks matches, the record crowd for a Collingwood/Richmond preliminary final dates back to 1969 – 107,279 – and wont be broken next week as the MCG max capacity is 100,024. The 1973 prelim final (98,652) could be under threat though – and perhaps the 1971 Semi Final crowd (99,771). AFL Semi Final Week was watched by 3.256 million people, up 92,000 or 2.91% on 2017. Melbourne viewership was up 13.8%, but Adelaide and Perth were both down 12.9 and 7.6% respectively. Metro up 2.1%, Regional down 16.8%, FTA down 2.6% but Foxtel up 22.49%. The AFL finals series to date has rated 9.179 million viewers, to be just clear of 2017, up 0.67% (61,000). Melbourne up 9.8%, Perth down 8.2%, and the lack of Adelaide teams resulting in a drop of 28.6%. Metro down 3.2%, Regionals down 7.9%, FTA down 4.2%. Foxtel up 16.9%. 5/6 AFL finals this year have rated more than 400,000 on Fox. This is up from 1/6 in 2017 and level with 2016. Other AFL observations and discussions can be had in this thread at Bigfooty.com. The NRL season as a whole has now attracted 3.103 million people, up 1.42% on 2017, at an average of 15,675. This is currently in 16th place on the NRL season aggregate totals, and 14th on the season averages. NRL Semi Final Week was watched by 2.411m people, down 346,000 or 12.5% on 2017. Sydney viewers are up 10.4% but Brisbane viewers are down 45% with no QLD sides in this weeks finals. Regionals down 16%, FTA down 15% and Fox down 4%. The NRL Finals series to date has reported viewership of 6.987 million. Down 3.4% on 2017 (246,000). Sydney up 0.82%, Brisbane down 20.06%. Metro down 9.39%. Regionals down 12.5%, FTA total down 10.5%. Foxtel up overall by 5.49%. Note the NRL figures are estimated as last sundays regionals + GEM have not been available. Regionals we should have tomorrow via RegionalTAM if the Lord tarries. Other NRL observations and discussions can be had in this thread (for ratings) and this thread (for crowds) at Leagueunlimited.com. The NRL Womens curtain raiser series started on Friday between Sydney and Brisbane and was watched by 40,000 (Metro 22k Regional 18k) on Nine and 33,000 on Fox. Saturdays game between St George and New Zealand was watched by 98,000 (Metro 46k Regional 52k) on Nine and 74,000 on Fox league. Peter Beattie reported that the attendance for the game was 16,274. The Australia v South Africa Test at Robina was attended by 16,019 fans, and watched by 104,000 on Foxsports. All TV ratings used here are preliminary overnights, and subject to change when consolidated results are published. Footyindustry.com is expressly forbidden by Oztam to publish the tabulated data these figures come from. We apologise for any inconvenience.